Okay, so the Mercedes-AMG GT isn’t your ordinary Mercedes-Benz. It’s actually a fairly unique offering from Stuttgart for a few reasons. For one thing it doesn’t exactly look like anything else that bears the three-pointed star. Yeah, it has the Mercedes-Benz nose, but that’s pretty much where it stops. The Mercedes-AMG GT (and Mercedes-AMG GT S) sort of looks like an amalgamation of a number of different sport cars and GT cars. The back is unmistakably Porsche. From the side, especially around the C-pillar, the Mercedes-AMG GT mimics the old BMW Z4 Coupe. There’s a bit of Jaguar XK and F-Type in fender and windshield. But, from the front… From the front, the Mercedes-AMG GT is all Mercedes. The SLS AMG may be gone, but this car carries on the beautiful design and styling the SLS AMG pioneered. The next thing you might notice about the Mercedes-AMG GT is its name. This is no mere Mercedes-Benz. There’s far too much actual, usable performance and power for this car not to carry the Mercedes-AMG moniker. That power comes from Mercedes’ new dry-sump 4.0-liter twin-turbo V8, also known as the M178. By the way, if an engine is this gorgeous, why do car-makers put those stupid plastic covers on them?!? Anyway, the Mercedes-AMG GT comes in two forms: the GT and the GT S, both of which get the 4.0-liter twin-turbo V8. In the GT S, the M178 produces a whopping 503 horsepower and 479 pound-feet of torque. That means a preliminary 0 to 60 time of just 3.7 seconds and an 193 mph electronically limited top speed. The GT boasts 456 horsepower and 443 pound-feet and is good to jaunt from 0 to 60 mph in 3.9 seconds with an electronically limited top speed of 189 mph. Both the Mercedes-AMG GT and GT S are rear drive with power routed through a seven-speed dual-clutch gearbox with locking differential. The transmission sits out back with the engine up front. That means a front to back weight distribution of 47 percent (front) to 53 percent (rear). I wonder if the Mercedes-AMG GT and GT S will actually be able to use all of that power effectively in the twisties. Standard double-wishbone suspension, ceramic brakes, adjustable damping (on the GT S) and optional Dynamic Plus performance package (dynamically adjusting engine and transmission mounts, retuned power-steering, firmer suspension, increased front-wheel negative camber and R & Manuel shifting modes) should all help this AMG out significantly on the track. Maybe for once, an AMG-badged car won’t burn through tires like fire through dry newspapers. The Mercedes-AMG GT and GT S are still a few months away, but everything we’ve seen so far look promising. The Mercedes-AMG GT S will hit dealerships first as a 2016 model in spring of 2015 with GT arriving a year later. For more info, check out the press release from Mercedes as well as a performance chart and some killer photo galleries. Affalterbach. The first Mercedes was a racing car and its most recent successor carries this heritage forward. With the new Mercedes-AMG GT, the Mercedes-AMG sports car brand is moving into a new sports car segment. The GT is the second sports car developed entirely in-house by Mercedes-AMG. Its front mid-engine design with a rear transaxle and use of intelligent aluminum lightweight construction form the basis for a highly dynamic driving experience. Its newly developed AMG 4.0-liter V8 biturbo engine underscores the hallmark of AMG driving performance. The first sports car engine from AMG with internally mounted turbochargers (‘hot inside V’) and dry sump lubrication is configured in two output ratings: as a GT with 456 hp (340 kW) and as a GT S with 503 hp (375 kW). The new GT combines driving dynamics and first-class racetrack performance with superb everyday practicality and efficiency that sets new standards in the segment. “With the new Mercedes-AMG GT, we are venturing out into a challenging sports car segment with its top-class competitive field. This is an incentive and motivation for us at the same time to prove to sports car enthusiasts around the world the kind of performance that AMG is capable of”, says Prof Dr Thomas Weber, Member of the Board of Management of Daimler AG, responsible for Group Research & Mercedes-Benz Cars Development. The combination of aluminum spaceframe, V8 biturbo engine with dry sump lubrication, seven-speed dual clutch transmission in transaxle configuration at the rear axle, locking differential, sports suspension with aluminum doublewishbone suspension and a low curb weight delivers racetrack performance. The front mid-engine design and rear transaxle configuration makes for a beneficial weight distribution of 47 to 53 percent between the front and rear axle. In conjunction with the vehicle’s low center of gravity this translates into extremely agile handling and permits high cornering speeds. With a favorable power-to-weight ratio, the Mercedes-AMG GT self-confidently lines up alongside the very best in its segment. The new Mercedes-AMG GT embodies pure sportiness and emotion. The two-seater is characterized by hallmark rear-wheel-drive proportions. 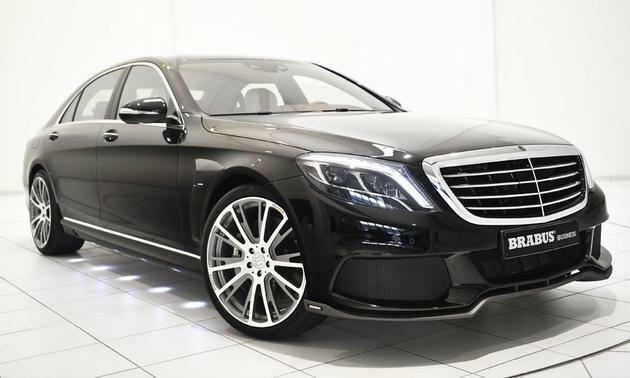 The V8 biturbo front mid-engine ensures optimum weight distribution, which forms the basis for superb driving dynamics. The long hood with its pronounced powerdomes, the greenhouse which has been moved far back, the large wheels and broad tail end make up the distinctive looks. Additionally, the large deck lid conceals a practical luggage compartment. Gracefully arched surfaces give the Mercedes-AMG GT its sensuous character and the appearance of artist’s sculpture. Viewed from the side, the domeshaped, arched roof line and the frameless doors are eye-catching features. A muscular element sculpted out of the side wall creates a sense of lightness and movement, even when the vehicle is at a standstill. The surfaces and lines of the side wall flow into the rear-end with a dramatic tapered effect. The GT deliberately avoids lines in the shoulder region in favor of one lower down extending into in the rear bumper, which stretches the body and makes it appear lighter. The side air outlets, each with two fins, represent a modern touch on a classic feature of Mercedes-Benz sports cars. 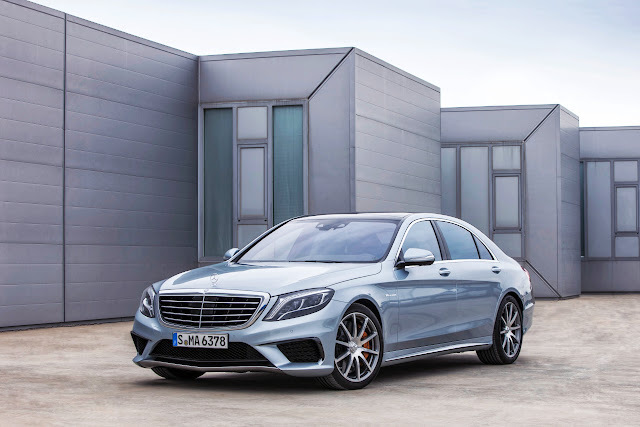 The creative interaction of diverse design elements lends the coupe a superior, Page 4 self-confident front: the three-dimensional diamond radiator grille with central Mercedes star, a broad single lamella and tastefully accented by the AMG logo stands in the center of the front end. LED High Performance headlamps with stylized “eyebrows” as daytime running lamps, side lights and indicators, as well as three separate high-beam reflectors lend the GT its characteristic look. Large air intakes in the front apron optimize the flow of air to the cooling modules, while the the charictaristic A-wing design with a front splitter makes the sports car appear low-slung and wide. Finshed in high-gloss black on the GT S, the front splitter accentuates the aggressive look. Customers can also customize the exterior and options available include the Exterior Silver Chrome package, the Night package and the Exterior Carbon-Fiber package. With its wide stance, broad shoulders, and narrow tail light design, the rear area creates an emotional appearance at any angle. The licence plate bracket is located in the lower part of the bumper, allowing the Mercedes star to be placed prominently on the smooth-surfaced rear deck lid. The rear features an electroncally retractable rear spoiler, which is concealed from view while the car is at a standstill. The black diffuser insert with integrated tailpipes is accented by a trim strip in matte iridium silver inspired by the A-wing design of the front, creates a visual sense of lightness across the entire rear end. The interior design also embodies maximum emotion and sensual purity. Radically low, sporty proportions create a unique sense of spaciousness. Clearly drawn components and their authentic materials underscore the dynamic character and create instant excitement: Anyone opening the door discovers an exciting interplay between the deep, sloping dashboard and a dominant, arched high center console; a design which evokes emotions and impresses with its perfection. The central “aviation design” theme, which is the hallmark of Mercedes-Benz sports cars, has been restyled. The extreme emphasis on the width of the dashboard, which creates an impression of a powerful wing dominates the cockpit of the GT. Four central spotlight-style vents and the individual vents at each end of the dashboard reinforce this impression. The combination of high beltlines, concave-shaped door paneling, low seating position and a dramatic center console design, makes the GT feel like you are slipping into the cockpit of fighter jet. The dominant center console with features lifted straight from motor racing by virtue of its styling that is reminiscent of a NACA air intake. Its surfaces are available with numerous trim options providing the customer ultimate stylistic choice of silver chrome, matte carbon fiber, high-gloss carbon fiber, black diamond and matte silver fiberglass. Positioned centrally, the free-standing display is easly and quickly seen while driving for minmimal distraction while providing modern stylistic flair. Attention to detail is also echoed in the AMG DRIVE UNIT controls: they are arranged like eight cylinders in a V layout, emphasising the powerful and high-tech impression made by the center console. Outstanding precision and a superior quality feel thanks to the finest materials with superb workmanship are also apparent on the sports seats, the performance steering wheel and the instrument cluster. The most important control for sports car fans is located in the AMG DRIVE UNIT on the left-hand side: the button for starting the engine, which is aptly labelled “Engine Start Stop” and illuminates in red. The new high-performance engine springs to life at the push of a button. The 4.0-liter V8 biturbo engine was developed specifically for the GT. The innovative eight-cylinder engine boasts outstanding power delivery, performance figures on a par with motor racing, lightweight construction as well as high efficiency and environmental compatibility. It boasts the brand’s hallmark emotive V8 engine sound, along with an immediate response and high pulling power. The new AMG V8 engine (internal designation M178) stands out with its precise power output, which is easily a match for a naturally aspirated engine. The linear power delivery makes it easy to handle the vehicle even at its limits. As part of this process, the sophisticated ECU even factors in the current Page 6 driving condition and adjusts the accelerator response depending on the lateral forces generated. With a displacement of 3982 cc, the V8 uses a range of technologies which are already being used in the 2.0-liter turbo engine in the CLA45 AMG — presently the most powerful, series-production four-cylinder engine in the world. Both engines have the same bore/stroke ratio, providing the basis for high revving ability. The piezo direct petrol injection used at Mercedes-Benz is responsible for the mixture formation. The spray-guided combustion process was further developed in the third generation to meet all future legal requirements. The new AMG V8 engine has two turbochargers which are not mounted on the outside of the cylinder banks but rather inside the V configuration – experts call it a “hot inside V”. The benefits are a compact engine design, an optimum response from the turbochargers and low exhaust gas emissions thanks to optimum air flow for the close-coupled catalytic converters. The dry sump lubrication also ensures the oil supply even with high lateral forces and allows the engine to be installed lower, thus moving the center of gravity closer to the road and forming the basis for high lateral acceleration. The new Mercedes- AMG V8 biturbo engine is the world’s first sports car engine with ‘hot inside V’ and dry sump lubrication. The Mercedes-AMG GT S is equipped as standard with an AMG performance exhaust system with fully variable exhaust vanes. This allows the driver to vary the engine sound depending on the selected DYNAMIC SELECT mode. The driver may experience the V8 with a focus on comfort and relaxed, longdistance journeys or with a more powerful, emotive, motorsport-inspired touch. The AMG DRIVE UNIT includes a separate button to control the exhaust vanes directly. The exhaust note of the Mercedes-AMG GT has its own tonal characteristics which denote the car’s membership of the AMG family but that also distinguish it clearly from other high-performance cars. The 4.0-liter V8 biturbo engine is being made in Affalterbach according to the “one man, one engine” principle. In the AMG engine shop, highly qualified master engine builders assemble the engines by hand according to the strictest quality standards. Once completed, this impeccable standard is clearly visible on the AMG engine plate, as it bears the engine builder’s actual signature. “One man, one engine” ties in with Mercedes-AMG’s unique motorsport genes, which exude innovative strength by virtue of the technology transfer from the racing series – from Formula 1, the DTM to the involvement in customer racing with the SLS AMG GT3. When it comes to the power transmission of the new GT the Mercedes-AMG engineers rely on a combination of front mid-engine and seven-speed dual clutch transmission in transaxle configuration at the rear axle – this layout has already successfully established itself in the SLS AMG. The weight distribution with its ratio of 47 percent (front) to 53 percent (rear) is achieved in part from this configuration. The efficiency, speed and precision of the AMG SPEEDSHIFT DCT 7-speed sports transmission were further optimized for the new sports car. Thanks to the larger gear ratio spread, the pronounced torque plateau of the new V8 turbo engine can be used optimally. The drivetrain’s overall design is ideal for an uncompromising sports car. At the same time, the exacting requirements in terms of everyday practicality, noise level, ride comfort and fuel consumption have been met. To transfer the driver’s shift commands from the steering wheel mounted paddles even more directly; communication between the engine and transmission has been fundamentally revised. This means that the previous limits of shift performance have been increased while the response time has been substantially decreased. The driver can individually tailor the GT to their wishes with the aid of AMG DYNAMIC SELECT. Various modes are available: “C” (Controlled Efficiency), “S” (Sport), “S+” (Sport Plus) and – entirely new – “I” (Individual). The manual “RACE” drive program reserved exclusively for the GT S optimally adjusts the shift strategy of the dual clutch transmission to the needs of racetrack usage – including fastest shift speeds and highly emotive engine performance. By pressing the “M” button, the driver can activate the manual transmission mode in any drive mode. The GT comes as standard with a mechanical rear-axle locking differential which ensures outstanding traction and superb driving safety in all driving conditions. The GT S is fitted as standard with an electronically controlled rearaxle locking differential, which is integrated into the compact transmission housing. The electronic function provides even more sensitive, faster control than the mechanical solution, thus pushing the limits of handling dynamics even further. Not only does it further improve the traction of the driven wheels, but also increases the cornering speeds at the limits. The system operates with a variable locking effect in acceleration and overrun mode, and is perfectly tuned to the various driving conditions and road surface friction coefficients. Driving dynamics and comfort on long journeys with racetrack performance and everyday practicality; the new Mercedes-AMG GT delivers on all counts. A great deal of attention was paid to the seamless integration of all mechanical and electronic systems during the design, development and testing. Whether it is the suspension, 3-stage ESP®, locking differential, steering, aerodynamics, tires or brakes – with precision engineering the exhilarating sports car driving experience is characterized by superb precision and clear feedback. The AMG GT offers the perfect combination of design and engineering to produce amazing peforomance on the road as it uses the technological DNA of the Mercedes-Benz SLS AMG, one of the most successful sports cars in recent years. Thanks to the optimum weight distribution of 47 percent (front) to 53 percent (rear), the vehicle’s low center of gravity and the selected suspension layout, the driver benefits from precise steering response, formidable agility, low inertia when changing direction, and outstanding traction. Double-wishbone suspension is used at the front and rear – a technology adopted straight from motorsport. Wishbones, steering knuckles and hub carriers on the front and rear axle are manufactured entirely out of forged aluminum in order to reduce the unsprung masses. The double-wishbone concept locates the wheel clearly with minimal elastic movements. The high camber and track rigidity not only results in high cornering speeds, but also provides the driver with an optimum road feel when cornering at the limit. An extremely direct connection of the shock absorber on the rear hub carrier reduces vibrations and undesirable wheel load fluctuations. Highly neutral behaviour and defined, predictable the dynamic handling experts at Mercedes-AMG. The AMG RIDE CONTROL sports suspension with electronically controlled damping comes as standard on the Mercedes-AMG GT S. The driver can adjust the damping characteristics at the push of a button in the AMG DRIVE UNIT or by using the AMG DYNAMIC SELECT drive modes. Three stages are available: “Comfort”, “Sport” and “Sport plus”. The AMG DYNAMIC PLUS package augments performance and agility even more. It is available exclusively for the GT S and includes dynamic engine and transmission mounts. The engine and transmission mounts assume an important function in the case of a transaxle design: soft mounts improve comfort since they provide more effective decoupling of noise and vibration. Handling and agility benefit, however, from an overall stiffer mount set-up. Mercedes-AMG resolves these conflicting objectives using dynamic mounts, which adjust their stiffness continuously, and instantly to the respective driving conditions and handling. The special control electronics in the AMG CHASSIS CONTROLLER, (ACC), provide this function. The ACC detects driving situations on the basis of CAN data, is connected to the electronic rear-axle locking differential and thus ensures optimum, balanced driving dynamics. AMG has gone a step further when implementing this technology: the engine and transmission mounts are even actuated independently of each other. The advantage: this innovative solution provides an additional substantial improvement in driving precision and lateral dynamics. A specific engine application in the DYNAMIC SELECT “RACE” drive mode and in the manual “M” transmission mode makes the GT S even more dynamic. The package also includes tauter suspension tuning thanks to raised spring and damping characteristics, more negative camber at the front axle as well as an adapted sports speed-sensitive steering. Thus the driver benefits from better performance with optimized handling. The performance steering wheel as well as yellow highlights in the instrument cluster round off the AMG DYNAMIC PLUS package. Excellent deceleration characteristics and high resistance to fade come courtesy of the high-performance compound brake system – on the GT with internally ventilated, perforated 14.2” (360mm) brake discs all-round; on the GT S with discs measuring 15.4” (390mm) in diameter at the front, to cope with the higher performance, as well as red brake callipers. A ceramic highperformance compound brake system is available for both models as an option. Its advantages: lower weight, longer service life and even better fade resistance thanks to the ceramic brake discs with a diameter of 15.8” (402mm) at the front and 14.2” (360mm) at the rear. As standard, the GT is shod in 10-spoke light-alloy wheels, 9 x 19 inch (front) and 11 x 19 inch (rear), with 255/35 R 19 and 295/35 R 19 tires. On the GT S the dimensions are 9 x 19 inch (front) with 265/35 R 19 tires and 11 x 20 inch (rear) with 295/30 R 20 tires. A host of different design and color variants are available as options for both models, such as the ultralight forged wheels in cross-spoke design, painted matte black, with high-sheen rim edge and fully integrated wheel bolt covers. In combination with the AMG DYNAMIC PLUS package, specially developed sports tires (Michelin Pilot Sport Cup 2) are available for the GT S as an option – ideal for aspiring racing drivers on closed-off circuits. Mercedes-AMG has gone for an intelligent material mix on the body of the GT. Chassis including greenhouse and body are made out of aluminum alloy, the trunk lid out of steel and the radiator core support is made from magnesium. This extremely light element at the front reduces the inertia ahead of the front axle, thus improving the vehicle’s agility. Over 90 percent of the weight-optimized spaceframe is made out of aluminum components. The bodyshell weighs 509 lbs. – a benchmark figure in the sports car segment. There were three key objectives during the design and development of the bodyshell structure: optimum strength, low center of gravity and low weight. The high resistance to flex and torsional strength of the entire design enables extreme linear and transverse forces from the drivetrain and suspension to be absorbed and transferred. Unwanted flexibility is thus reduced, with the vehicle responding rigidly and directly. As a result, the driver experiences a sports car with maximum driving dynamics that responds with excellent precision. The aluminum spaceframe also provides the basis for outstanding passive safety. The Mercedes-AMG GT is produced at Mercedes-Benz in Sindelfingen. The 4.0-liter V8 biturbo engine is manufactured at Mercedes-AMG in Affalterbach. Vehicle proportions, weight distribution, drive configuration, handling stability, drag, cooling and wind noise: the aerodynamics of the GT fulfill complex requirements. The high-performance vehicle has been developed aerodynamically with one clear objective in mind: high forces must be transferred onto the road without limiting driving dynamics and performance. Thanks to the aerodynamic configuration, critical driving situations can be avoided – such as with a sudden evasive maneuver at high speed. The design of the front apron with A-wing and front splitter not only increased Page 12 downforce to a desired level, but also helps route air directly to and from the cooling modules. The flow of cooling air from the aerodynamically shaped brake cooling ducts also specifically improves brake performance. The design of the extensively encapsulated underfloor guarantees optimum airflow out of the oil cooler in the underfloor area and provides effective airflow for the rear diffuser. As an active component of the aerodynamics, the Mercedes-AMG GT comes with an electronically controlled rear spoiler that is integrated into the design silhouette. Depending on the drive mode, the spoiler extends and retracts at various speeds. In combination with the rear diffuser with no leading edges, the downforce on the rear is maintained in the aerodynamically relevant speed range. The standard-fit restraint systems not only include three-point seat belts with belt tensioners and belt force limiters, but also front airbags, combined thorax/pelvis sidebags, windowbags and kneebags, for the driver and front passenger respectively. Upon opening the door, the driver is greeted by the AMG start-up screen as an animated GT appears on the TFT display in the instrument cluster. The sportily designed instrument cluster in carbon fiber pattern provides information with two classic circular instruments with a in a 2-tube look and a 220 mph speedometer scale. The performance steering wheel with its three-spoke design sits perfectly in the hand: it comes with aluminum shift paddles, 12 o’clock marking and a steering wheel rim in black nappa leather with flattened bottom section. The sports seats featuring the AMG logo come in Nappa leather as standard with integral head restraints and provide optimized lateral support when driving dynamically. The DYNAMIC SELECT Controller, the buttons for the engine start, the 3-stage ESP® and, depending on the equipment, the electronic damper control are located on the left in the AMG DRIVE UNIT. The volume control as well as the buttons for the manual transmission drive mode, the ECO start/stop function and, likewise depending on the equipment, the selectable exhaust system are fitted on the right-hand side. The innovative touchpad in the handrest above the COMAND Controller is integrated in front of the E-SELECT selector lever to operate the dual clutch transmission. A free-standing central display is located centrally above the four ventilation outlets. The vehicle comes standard with an 8.4-inch screen with COMAND. Seat heating, PARKTRONIC, hazard warning lights and the optional extendable rear spoiler can all be operated via buttons in the top control panel in the roof frame. As an alternative to the standard-fit Interior Silver Chrome package, the customer can choose from various other packages. Carbon-fiber trim elements are available in a choice of matte and high-gloss finish. Highlights include the trim in matte silver fiberglass and the Interior Black Diamond package, all offered for the first time. Here the ventilation outlets, the frame of the center console and the trim strips in the door armrests come in a sophisticated highgloss black finish, with its striking 3D look. The “black diamond” method uses the chemical CVD (chemical vapor deposition) gas phase process to deposit a precious metal on a high-sheen chrome surface at temperatures of 1000°C. The metal reacts with the surface to form a layer that is highly scratch-resistant and has a high adhesive strength. The superb everyday practicality of the Mercedes-AMG GT is also expressed in the airy feeling of spaciousness. In addition, the good all-round visibility and the high headroom demonstrate that sporty dynamics and comfort on long journeys are not mutually exclusive – not necessarily a given in this segment. A large stowage compartment in the center armrest, a centrally positioned twin cup holder and a large, easily accessible glove compartment are further evidence of the outstanding everyday suitability of the GT. The luggage compartment capacity of 12.4 cu. ft. will hold two golf bags either lengthwises or crosswises. The large decklid makes loading easy and a retractable luggage cover comes as standard. The cross strut made out of aluminum behind the seats prevents luggage from sliding forward as the vehicle brakes and is available in various trims (such as carbon fiber) to match the trim on rest of the interior. The US will launch first with the 2016 AMG GT S in the spring of 2015. The AMG GT will launch in the following year. I wish i could afford this Merc, planning to add a Merc along with my 525i for some time now. AMG is just out of reach. I would settle for an E stock most prob. Agreed. I’d love to have this car in my garage. But, as opposed to an E-Class, I’d opt for the new C-Class. It has a lot of the tech from the new S-Class and has all the earmarks of an incredible car. It’s way better than the E-Class.